Today’s final issue of the year saw the regulars at an early hour. 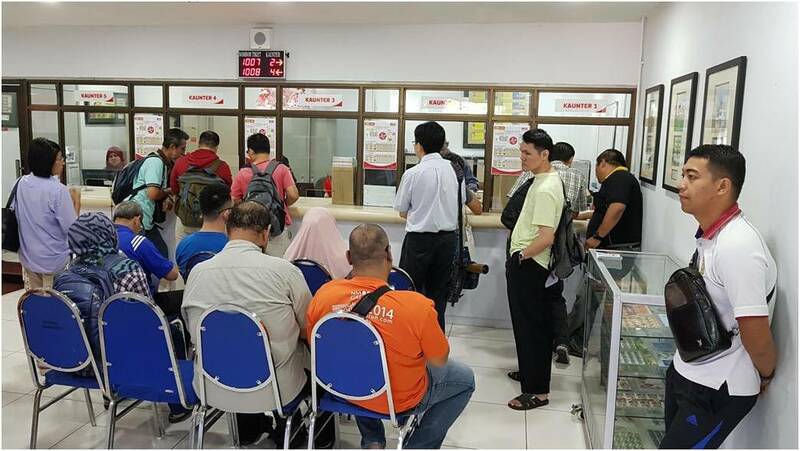 The front liners were queuing to make FDCs (many to realise that there is only the KL cancellation – guess they are not reading myfdc – or they would have already download the forms). Then there are those who want to try their luck to get Perlis – the most speculative state for stamps and philatelic. Recently an eBay item with 175th anniversary of UPU posted cover ended at astronomical price only to see it reappear by the same seller days later. Guess 2 hardcores were slugging it out and maybe a joy bidder helping the speculation. 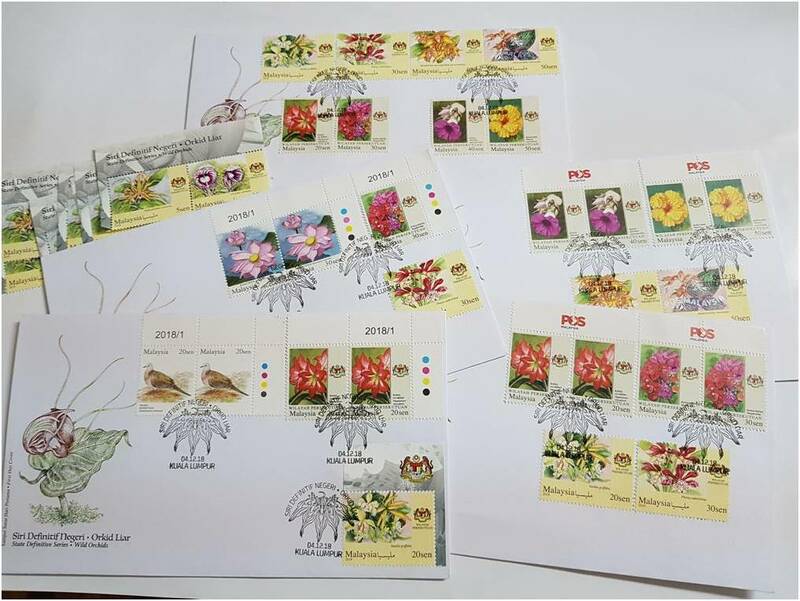 As I mentioned earlier, the Philatelic Bureaus will only sell loose for the respective states and it is anyone’s guess where is “Perlis” in Perlis? Anyway, with the same number printed and not much stocks in Kangar, we can only speculate on the speculation! The crowd thinned out by noon. There were ample stocks. I guess a lesson learned for the next state series (hopefully someone will dig up myfdc to read) is to pre-pack 14 states rather than doing it on issue day. The KL General Post Office did that and the transactions were faster. There was also a Christmas Setem Ku on sale today. Not many realise it or are not interested. Mint stocks were ample even until the closing bell. So what was I up to? Buying up and tearing up my Federal Territory MS to make Definitive transition covers. I matched the face values of the existing Garden Flowers micro-text series released this year with the Orchids. This year the Garden Flowers state series was only printed for the Federal Territory. 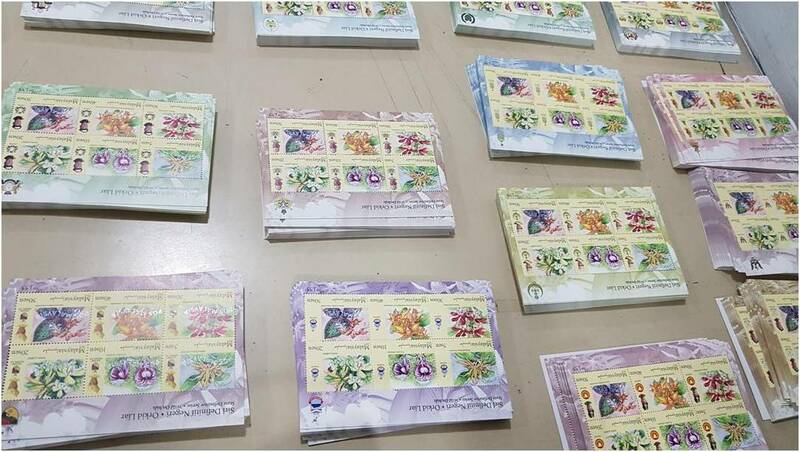 Just so happen that the stamps were released towards the end of 2018. This Federal Territory definitive then transitions into the Wild Orchids definitive. I do not expect to see the post office sheets of the new definitives anytime soon. So the Federal Territory Garden Flowers should bloom for a while. Thus, this was the only chance to make the concordant Federal Territory “transition” cover as it is the first day of issue plus it is in Kuala Lumpur which is one of the 3 Federal Territories. It took a month of preparation for the harder to find corner margins. As usual, spares are available. Meanwhile, back to the question on where you can get Perlis? The local post offices are your best bet. However, this time, there is not much demand for Perlis. I will skip. I am a covers guy. Enjoy the queue. Strictly speaking, the orchids states definitives have NOT be issued yet. 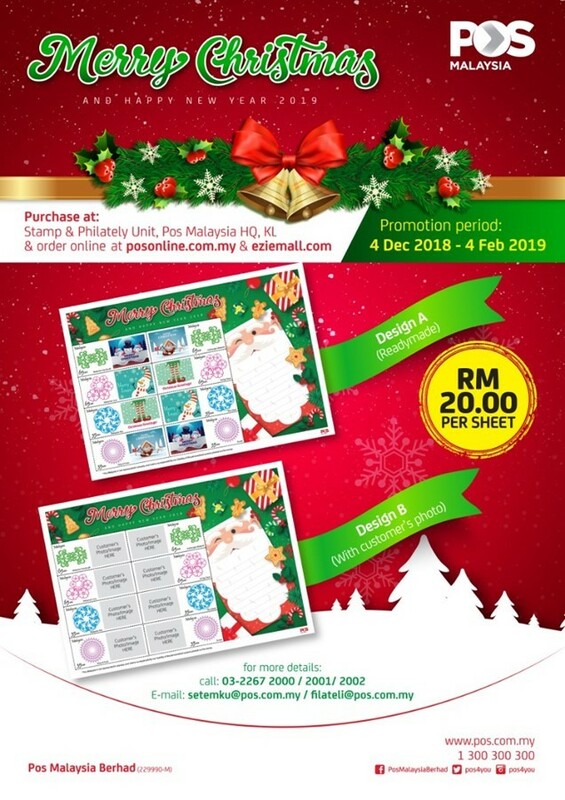 They will only be issued when the sheet/100 comes out and sold as postage at the counters. What has been issued is something very unique by POS – ie definitives stramps in a commemorative sheetlet! In other words, still commemorative stamps. Very interesting take on this. I think this is a good classification. I am just as confused as in the past the counter definitive are issued at the same time as the philatelic version. Thanks for the explanation Clifford!